When winter weather swirls in, nothing could be cozier than a toasty mug of mulled wine. Mulled wine, the vine’s version of a classic hot toddy, is a traditional holiday treat in many Old World countries. Dubbed "Glögg" in Nordic nations and "Glühwein" in Germany, mulled wines have been warming people for centuries. Typically made with red wine, the wine is sweetened, spiced and heated—offering a delightful alternative to traditional coffees, ciders and toddy’s at holiday gatherings or just on a cold winter's night. Stir occasionally to make sure that the honey or sugar has dissolved completely. When the wine is steaming and the ingredients have been well blended it is ready to serve. 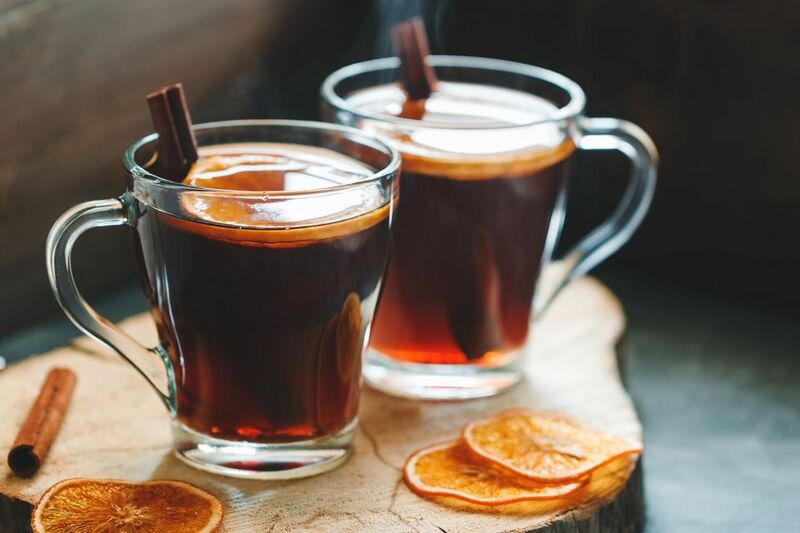 Ladle the mulled wine into mugs (leave seasonings behind) and enjoy! The 1/3 cup of honey or sugar does make a sweeter-styled mulled wine. Feel free to cut honey/sugar down to taste.